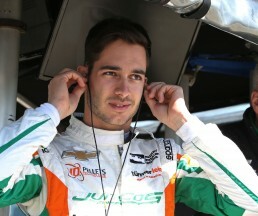 Indianápolis, Indiana (3 de agosto de 2018) – Juncos Racing anunció hoy que Alfonso Celis Jr. regresará a la serie Verizon IndyCar a finales de este mes en Portland International Raceway. El joven mexicano hizo su debut oficial en la serie Verizon IndyCar en el auto No. 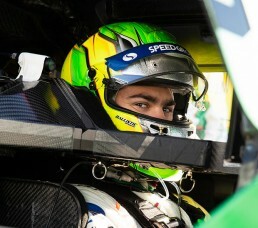 32 de Chevrolet / Juncos Racing en junio en el autódromo de 4.014 millas ubicado en Road América. A pesar de terminar 20°, el piloto de 21 años dejó una fuerte impresión con el equipo. Celis Jr. 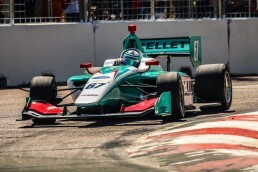 Se unió a Juncos Racing a principios de este año en el Campeonato de Indy Lights presentado por Cooper Tires antes de avanzar a la serie Verizon IndyCar. Celis tendrá su segunda carrera en la serie Verizon IndyCar en el autódromo de 1.964 millas que se encuentra en Portland, Oregón. Height/weight: 5’9” / 135 lbs. Also competed in the German Championship (DKM) and British Championship. Local ties: Because I’m born and raised in Idaho, not many of our races are even close to the Northwest – Portland is as close as I’ll ever get to having a race near home. We had 250+ people come from Idaho to support me at last year’s race in Portland. Charities I support: I’m involved in numerous youth organizations and activities with young kids. Some of those include FCA, Boys and Girls Club and of course, the Kids on Track program through Road to Indy! 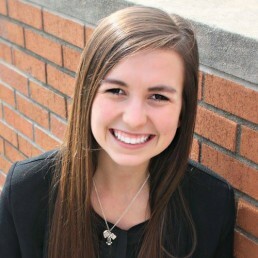 Favorite food: Steak with an Idaho potato, of course! The one talent I wish I had: Wish I could carry a tune – even for Happy Birthday would be great! Racing goal: Stand on the podium at IndyCar level! 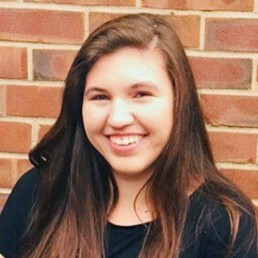 Height/weight: 5’11’’ / 170 lbs. Best meal I can cook by myself: I love to cook. I would say my best is a roasted lamb chop or a chicken-pot-pie. Favorite places to visit: I love the national parks in America, I have been to many to climb and camp but Joshua Tree and Yosemite stick out as favourites. The Pacific Northwest is great as well. Outside of North America, France is great. Juncos Racing is a championship-winning team currently fielding multiple cars in the Pro Mazda Championship, the Indy Lights Series, and the Verizon IndyCar Series. In the fall of 2018, Juncos Racing announced their expansion to the IMSA WeatherTech SportsCar Championship and will field one Cadillac DPi-VR entry in the 2019 season. Ricardo Juncos established Juncos Racing in 1997 as a small formula car race program based in Buenos Aires, Argentina. After times became financially tough, Juncos relocated to the United States in 2002 where he worked as a mechanic for a small karting team based in Florida. Juncos was then able to open the doors to his own shop and run in karting series throughout the United States. In 2009, Juncos Racing entered in the former Star Mazda Championship (now the Pro Mazda Championship presented by Cooper Tires), where the team had great success in its maiden season, finishing second in the driver’s championship and third in the team championship. 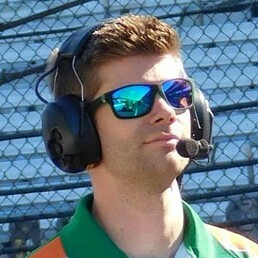 The following year, the team captured its first championship in the series with Indiana native Conor Daly. Fast forward to 2015, where Juncos Racing had its most successful season capturing the Indy Lights Presented by Cooper Tires driver’s championship with current Verizon Indy Car Series driver Spencer Pigot and also claimed the Pro Mazda team championship. In 2017, Juncos Racing announced they would enter the Verizon IndyCar Series and compete in the 101st Running of the Indianapolis 500. The rookie team would go on to finish a respected 15th with Sebastian Saavedra and 18th with Spencer Pigot. Juncos Racing also captured the Pro Mazda Championship and Indy Lights Championship, as the only team to win both series in the same year in the Mazda Road to Indy history. Most recently the team finished off the 2018 season winning the Pro Mazda Driver and Team Championship with rookie driver Rinus VeeKay. The team also competed in 12 of the 17 Verizon IndyCar Series events with three drivers sharing the No. 32 entry including the 2017 Indy Lights Champion Kyle Kaiser, Rene Binder, and Alfonso Celis Jr. The mission of Juncos Racing is to develop young drivers from around the world into the next level of their racing careers through the Juncos Racing Driver Development Program. Through this program, the team not only works with drivers on track to improve their skills behind the wheel, but also gives them the tools needed to understand the engineering and mechanics of the race car. Drivers who have participated in the program and have gone on to compete in the next level include Connor de Phillippi, Nicolas Dapero, Tatiana Calderon, Peter Dempsey, Conor Daly, Spencer Pigot, Victor Franzoni, Kyle Kaiser and Rinus VeeKay. I’m from Baltimore, MD, and have been in racing since 1992. I have been fortunate enough to be able to combine my passions for aviation and auto racing throughout my career. I began working for NHRA drag racer Kenny Bernstein’s various teams, acting also as his pilot. In 1995, I joined Robert Yates Racing and spotted for Hall Of Fame and 1999 Champion driver Dale Jarrett, and piloted their plane. 1996 was a career highlight, winning the Daytona 500, Coca-Cola 600, and Brickyard 400 with Dale Jarrett. I have stepped back from commercial flying in recent years to spot for various drivers and teams. 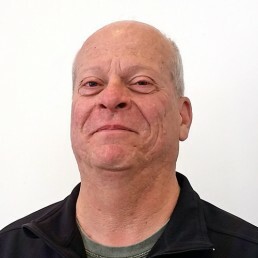 In addition to Juncos Racing, I’ve worked for Kenny Bernstein’s King Racing, Robert Yates Racing, Dale Coyne Racing, and Rebellion Racing. I now live in Winston-Salem, NC. I’m proud to have been part of winning teams in three types of major motorsports: IndyCar, NHRA and NASCAR. I was born in Chicago, raised in Argentina, and moved to the US in 2002. I’ve been in racing since 1983. As a driver, I was a 1989 Sport Prototipo runner-up and the 1990 Sport Prototipo Champion. I also drove in Formula Renault, Formula Super Renault and Turismo Carretera. As an engineer, I designed, built, and homologated FIA Formula Renault car Argentina, and designed and built many TC cars. I also founded my own racing team, Gonella Competición. In addition to Juncos Racing, I have also worked with Gonella Racing, Guarnaccia Competición, Scuderia Sena, Ferrea Racing and Active Serve Racing. I have a wife, Mirta, and two daughters, Sofia and Catalina. I live in my hometown of Indianapolis, IN, and have been a race fan for as long as I can remember. Fun fact — I landed this job after interviewing Ricardo Juncos for one of my college course! Also, I speak fluent Spanish and French. I’ve been involved in racing my whole life in different capacities, but have been working in racing full-time since May 2018. As a hospitality coordinator, I have loved having the opportunity to work on a guest ranch in Colorado, being involved in so many people’s wedding days, and being part of a qualifying team for the Indy 500 in 2018. In addition to Juncos Racing, I’ve worked with Pacers Sports & Entertainment, the 500 Festival, Blackburn Sports Marketing and the Indianapolis Motor Speedway. I live in my home state of Indiana with my husband, Stacy. I love playing music and singing, coaching girls’ high school lacrosse, and riding my horse. I’m from Evansville, IN, and have been in racing since 1986. I spent 17 years coaching at Skip Barber Racing School. As a driver, I finished third overall at Rolex 24 in ‘96 and ‘97. In addition to Juncos Racing, I’ve also worked with RuSPORT, Ganassi, MSR and Carlin. 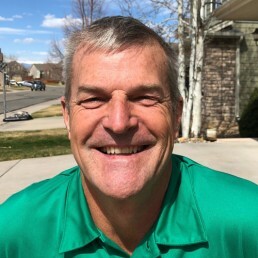 I now live in Denver, CO, and I have a wife, Stacey, and two kids. You might not guess that I represented Team USA in the 1992 International Ice Karting Championships in Sosnovy Bor, Russia. I worked for a decade in the legal field before joining Juncos Racing, but I am a lifelong racing fan! I live in my home state of Indiana with two kids and a Doxle (beagle/daschund mix) named LuLu. I am a professional people watcher, and chocolate will get you far with me. Currently learning Spanish but already fluent in sarcasm. I am a Daughter of the American Revolution and an avid Second Amendment rights advocate. Once belonged to a Star Fleet – just for fun. Pack Treasurer for a Boy Scouts of America troop. I have five awesome brothers, no sisters, and an irrational fear of slugs, centipedes and bridges over large bodies of water. I’m from Liberty, MO, and I’ve been in racing since 2002. 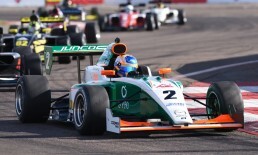 I’m proud of having been with Juncos Racing through six championship wins in Indy Lights and Pro Mazda. In addition to Jucos Racing, I’ve worked with Dragon Racing, Sarah Fisher Racing, and HVM Racing. I’m from Ridgewood, NJ, now living in Indianapolis, IN. I’ve been in racing since 2016. During the 101st running of the Indianapolis 500, I was an airjack for Kyle Kaiser’s car as well as a member of Sebastian Saavedra’s pit crew. It might surprise you that I’ve never been on a roller coaster. I’m from northern California, and I’ve been in racing since 2010. It has been so exciting being part of a professional racing team with an IndyCar. I was also a Provisional Winner of the SCCA National Runoffs at Laguna Seca in the Formula Vee class in 2014. In addition to Juncos Racing, I have also worked with Veloce Motors West, Linstrand Motorsports, and FatBoy Racing. I am a third-generation racer, and I’ve been going to racetracks since I was able to walk. I’m from Adelaide, Australia, now living in Indianapolis, IN. I’ve been in racing since 2016. I made a clean sweep of my first race weekend in America, at St. Petersburg. In addition to Juncos Racing, I’ve worked with Brad Jones Racing and Erebus Motorsport. Yes, I actually had a pet kangaroo in Australia. I’m from Essex Junction, Vermont, now living in Indianapolis, IN. I’ve been in racing since 2014. I helped win the 2015 and 2017 Indy Lights Championships, and completed a Bachelors in Mechanical & Motorsport Engineering in December 2015. In addition to Juncos Racing, I’ve worked with Pratt & Miller Cadillac Racing, and IMSA. Fun fact — I’m fluent in German. I’m from Buenos Aires, Argentina, and have been in racing since 1996. I started in 1996 in Formula Reno in Argentina as the main mechanic on Ricardo Juncos’ car. I won the Pro Mazda Championship in 2014, and was over the wall as the right rear tire changer in the Indy 500 in 2017. In addition to Juncos Racing, I’ve also worked with JLS Racing. I now live in Indianapolis, IN. I have a wife, Brenda, and daughter Valentina. I’ve been skydiving, and I compete in national slot car races. When I’m not racing, I love to sail. I’m from Ironwood, MI, and I’ve been in racing since 2010. I started in sports car racing (Grand-Am Race series), and after an internship straight out of college, I made the jump to IndyCar. I started as a mechanic and have transitioned to Damper Specialist. In addition to Juncos Racing, I’ve worked with Dale Coyne Racing and Team Sahlen. I now live in Fairfield, CA. When I’m not at the racetrack, my favorite place to be is in the middle of nowhere on a hike. I’m from Chicago, IL, now living in Carmel, IN. I’ve been in racing since 2006. I have won 5 National Karting championships, 2013 USF2000 Mechanic of the Year, the 2015 Pro Mazda Championship, I am a Road to indy Graduate, and two-time petit LeMans winner. In addition to Juncos Racing, I’ve worked with Brannam Motorsports, Chicago Indoor Racing Rotax, Belardi Auto Racing, Team Pelfrey, Riley Motorsports, Dale Coyne Racing, and Chip Ganassi Racing. You might not guess that I’m also an artist and a hockey player. I’m from Villa Park, IL, and have been in racing since 1992. I won the 2011 Indy 500 pole with Alex Tagliani. In addition to Juncos Racing, I have also worked with KV Racing, Walker Racing, SPM and Dragon in Formula E.
I now live in Noblesville, IN. I am married with three kids. We love camping and dirt bike riding together. I’m from Calgary, Canada, and have been in racing since 1993. Career highlights include winning races in IndyCar, IMSA, and Grand Am. I’ve worked for too many teams to count! I now live in Erie, PA and have a daughter. I am also a chocolatier and enjoy playing hockey. I’m from Maskinongé, Canada, and have been in racing since 1998, with a spell in the aerospace industry. I’ve participated in the Indy 500 (including the 100th running,) the Monaco Formula E-prix and the LeMans 24 hrs. I’ve had many race wins and a GTD championship with a Ferrari 488 GTD. 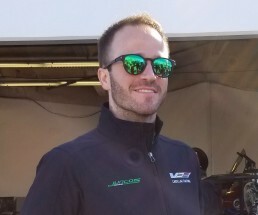 In addition to Juncos Racing, I’ve worked with Sierra Sierra F Atlantic, Conquest Champcar, PCM Champcar/Indycar, Alegra Motorsports Daytona Prototype, Dragon Racing Indycar/Formula E, Scuderia Corsa IMSA GTLM/GTD/Pirelli World Challenge and Ferrari Challenge, Indy 500 efforts with Panther Racing, Sarah Fischer Racing and KV Racing. I now live in Ventura, CA, and I have a wife, Shelley, and daughter Elise. I love photography, traveling with the family and fine wine. I’m also an avid hockey fan, supporting the Los Angeles Kings, my local team since 2006. I’m from Prescott, AZ, and have been in racing since 2005. Career highlights include winning my first race with Wade Cunningham from the pole in Watkins Glen. James Hinchcliffe and I got our first IndyCar win at St. Petersburg in 2013. I got 2nd place in the Indy Pitstop Competition with Marco Andretti in 2009. 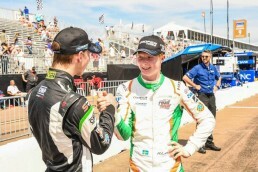 Winning the Indy Lights Championship with Spencer Pigot and Juncos Racing in 2015, and again with Kyle Kaiser in 2017. I now live in Indianapolis, IN. I have a wife, Beth, and two kids, Ashlyn and Maximus. I am an avid hunter, both with a bow and a gun. 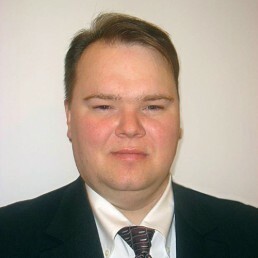 I am also federally licensed firearms dealer. I’m from Christchurch, New Zealand, and have been in racing since 1982. I won the Clint Brawner award at the 2018 Indy 500. In addition to Juncos Racing, I have also worked with DSTP motorsports, Pacific Coast Motorsports, Truspeed Motorsport, and KV Racing. I have a wife, Whitney, and a baby on the way. And when I was at school, I played the bagpipes. I’m from Cary, NC, now living in Indianapolis, IN. I’ve been in racing since 2016. I graduated from IUPUI in 2018 with a Bachelor of Science in Motorsports Engineering. Right out of the gate, I helped win the 2017 Indy Lights Championship with Juncos Racing. My favorite place to be? On a lake in a wakeboard boat. I’m from Plano, TX, and I’ve been in open wheel racing since 2004.
qualified on the front row for the 2013 Indy 500 with Marco Andretti, and finished 3rd in the 2014 Indy 500. In addition to Jucos Racing, I’ve worked with Valley Motorsports, MJ Motorsports, Andersen Racing, Belardi Auto Racing, and Andretti Autosport. Married? Yes, to Diana Carolina Reggio, for 10 years. Children? Hell no. Three cats and a dog. In my free time, like I race RC cars. Have been since about 1995. If my wife is reading this: they are not toys. I’m from Troon, Scotland, and have been in racing since 1985. The milestones of my career include a few Indy 500s and Championships with Penske, a few IMSA Championships operating as TRB Engineering. Also, I helped start Dragon Racing’s Formula E group while with TRB Engineering group. In addition to Juncos Racing, I have also worked with Penske Racing, Bettenhausen, HVM, Forsythe and various positions within teams as part of TRB Engineering Group. I now live in Indianapolis, IN. I have a wife and three kids (Suzi, Kay and Fiona) and a dog, Stan. I’m an embarrassingly bad golfer—work gets in the way of a good handicap. And my kids are still my main focus, even though they are all grown up. I’m from Dallas, TX, and have been in CART/IndyCar since 1993. Finished 2nd and 3rd in 2000 CART (Indycar) Championship with Patrick Racing and drivers Adrian Fernandez and Roberto Moreno. Finished 3rd in 2017 Indianapolis 500 with a damaged car and by only a few feet with rookie driver Ed Jones. In addition to Juncos Racing, I’ve worked with Patrick Racing, Newman Haas Racing, Dale Coyne Racing, and Cosworth Engines. I now live in Carmel, IN. I bought an airport. Sheridan Airport, in Indiana. Who does that? 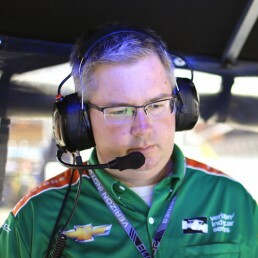 I’m from Indianapolis, IN, and have been in racing since 1989 — spending 11 years as a driver and 18 as a crew member. I have won two Indy Lights Championships with Juncos Racing, three championships with Andretti, and three championships as a driver. I am proud that I have helped five young men get to Indy through the Mazda Road to Indy, including Sage Karam, Zach Veach, Matt Brabham, Spencer Pigot, and Kyle Kaiser. In addition to Juncos Racing, I have also worked with Arciero Blair Racing, Kelly Racing, Cheever Racing, and Andretti Autosport. I now live in Danville, IN. I have a wife, Lisa, and daughter Jordan. When I am not acting as Crew Chief, I am out racing my racecars or slot cars. I’m also an Eagle Scout. 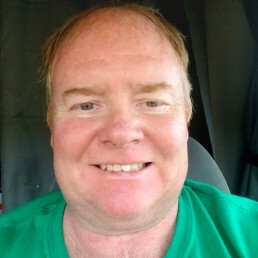 I’m from Greencastle, IN, and have been in racing since 2001. A career highlight was winning the NHRA U.S. Nationals and getting to drive the car to Winners Circle, thanks to Larry Dixon. In addition to Juncos Racing, I was a clutch mechanic on Don Prudhommes’ NHRA Miller Lite Topfuel dragster, and transport driver for Andretti Green, John Commiskey Racing and KV Racing. I now live in Danville, IN. I have a wife, Michelle, and three kids, Quentin, Brianna and Peyton. In my free time, I enjoy working on our motocross track. I live in my hometown of Toronto, Canada, and have been racing from age 10, and working with teams since 1997. I won 13 of out of the 16 races in the 2013 Pro Mazda season, capturing the Championship. In addition to Juncos Racing, I’ve worked with Andretti Autosport, Andersen Racing, Brooks Associates Racing, Walker Racing, Forsythe Championship, AIM Autosport, and RDS Motorsport. I’m married. Also, I enjoy paddleboarding and cold craft beer on the dock. I live in my hometown of Danville, IN, and have been racing from age 13, and working with teams since 2011. I have been a mechanic for the 2014 USAC Turkey Night Grand Prix Rookie of the Year, the 2014 USAC Oval Nationals Winner, and 2017 Indy Lights Champion. In addition to Juncos Racing, I’ve worked with Parker Price-Miller Racing, Robert Ballou Racing, and Isaac Chapple Racing. Fun fact — I was ranked #5 in the USA in BMX racing in 2012. Rene Binder is a third-generation driver whose grandfather was an Austrian rally champion, his father a German F3 Trophy champion and his uncle, Hans Binder, a Formula One driver in the late 70s. Rene is a four-time race winner, two-time pole sitter in the World Series Formula V8. He has competed in GP2 where his highlights were 6th and 7th place finishes in Monte Carlo and in the German F3, claiming 3 victories and 9 podiums. Rene is no test-tube racer, but rather an engineer of wood technology who started to turn his passion for motorsports into a profession after his successful graduation from the Wood Technolgoy College in Kuchl, Austria. When not on the track, Rene works in the export department of their family lumber business, speaking German, English and Italian. This down-to-earth guy lists karting and outdoor training in the beautiful Zillertal mountains as his hobbies. He’s also an excellent skier and a big fan of Austria’s Ski World Cup Team. 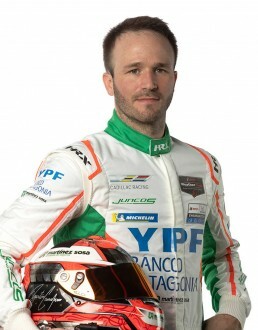 Victor Franzoni began his motorsports career running in karting series throughout South America. In 2011, he made the jump to the Brazilian Formula Future Fiat where he clenched four consecutive podiums. That same year, Victor made the decision to move to Europe to continue to pursue his racing career. 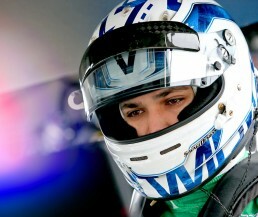 In 2012 Victor joined Koiranen Motorsports for the Formula Renault 2.0 Alps Series. 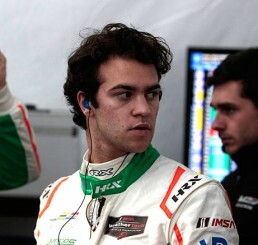 He also raced in the Formula 3 Brazil Open. The following year Victor continued with Koiranen Motorsports in the Eurocup Formula 2.0 series. Victor made his debut in the Mazda Road to Indy Series in 2014 running in the Cooper Tires USF2000 Championship Powered by Mazda. That year he captured one win, two poles, and five Top-5 finishes. In 2015, Victor continued in the USF2000 Championship for six races, where he claimed one win. During that same season Victor made the move up to join the Pro Mazda Championship Presented by Cooper Tires Championship, collecting three Top-5 finishes. In 2016, Victor returned to the USF2000 Championship for a full season run. There he picked up three wins, two poles, and 13 Top-5’s. 2017 proved to be the most successful year for Victor when he joined Juncos Racing for the Pro Mazda Championship. That year he took home seven wins and five poles, giving him the necessary points to claim the championship. 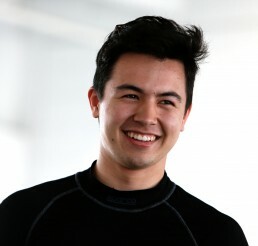 By winning the Pro Mazda Championship, Victor was awarded the Mazda Scholarship, giving him the funds to run in the final step of the Mazda Road to Indy ladder, the Indy Lights Championship Presented by Cooper Tires. Unlike most open-wheel drivers, Mexican Alfonso Celis Jr. began his motorsports journey running on two wheels in motocross. In 2011, Alfonso transitioned to karts, where he competed for the next three years. Alfonso made his professional racing debut in 2012, when he joined the Formula BMW Talent Cup. That same year, he tested in Formula Renault, Mazda PRO LMRC and won the 24 hours of Mexico. In 2013, Alfonso competed in the Formula Renault 2.0 NEC and the European F3. 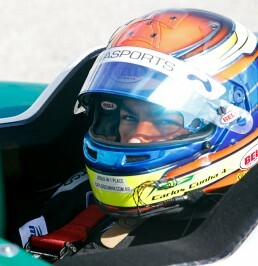 He also tested in the Pro Mazda Presented by Cooper Tires Championship. 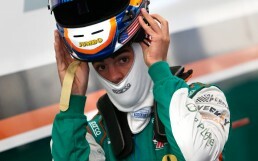 The following year, Alfonso joined the GP3 Series, where he would spend the next two seasons. In 2015, he also ran in the World Series by Reanult. Alfonso moved on to compete in the Formula V8 3.5 Series in 2016, and would also have the honor to spend the year as a Formula One Reserve Driver for Sahara Force India Formula One. 2017 proved to be the most successful year for Alfonso when he finished third in the Formula V8 3.5 Championship. He also continued as the Formula One Reserve Driver for Sahara Force India Formula One. Rob will drive with Juncos Racing in the 2018 Pro Mazda Championship Presented by Cooper Tires. For the past two years, Rob competed in the Cooper Tires USF2000 Championship Powered by Mazda. Rob earned one win, one pole position, three podiums, nine Top 5 finishes and 21 Top 10 finishes. He was also USF2000 Rookie of the Year. In 2017, Rob also made his debut in the MRF Challenge Formula 2000 series; racing in the Middle East and India, with six Top 10 finishes. Rob competed in the F1600 Formula F Championship Series in his first year racing cars, and he featured on the podium at five of the seven race weekends, with one pole position and two fastest laps. Prior to making the jump to cars, Rob began his racing career in karts. Away from the track, Rob is also a serious sabre fencer. Carlos Cunha began his racing career running in karting series throughout Brazil. After two years of competing, he took a two-year hiatus to focus on schooling. In 2013, he returned to karts, competing for two more years in Brazil. Carlos moved up to compete in the Brazilian F3 Championship in 2015, where he earned six podiums and finished third in the championship. In 2016, Carlos continued his run in the Brazilian F3 Championship, scoring one win, and five podiums in only eight starts. He also tested in the EuroFormula Open tests in Europe. Carlos joined the Mazda Road to Indy ladder series in 2017, running in the Pro Mazda Championship presented by Cooper Tires. That year he claimed seven podiums, and finished third in the championship. At the young age of eight, Rinus VeeKay began his motorsports career running in karts. In 2011, Rinus won both of the Dutch and Benelux World Formula Karting Championships, and the following year he claimed the Dutch Rotax Max Minimax Karting Championship. Rinus went on to win the 2013 Dutch Rotax Max Juniors Karting Championship, and also became the youngest member of Team Netherlands at the Rotax MAX Challenge Grand Finals in New Orleans. In 2014, he was named a KNAF Talent First selection driver and finished third in the CIK-FIA Karting Academy World Championship. 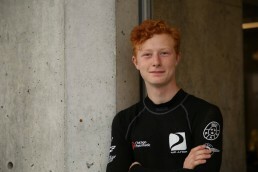 The young Dutchman won the MAXSpeedway Driver Advancement Program in 2015, earning a Cooper Tires USF2000 Powered by Mazda Championship test at the Circuit of Americas. That same year he finished at the age of 14 second in the European Champion Rotax Max Senior Championship and second in the Rotax US Open Senior Max Championship. In 2016, Rinus made his debut in the French Formula Renault 2.0 Vdev Championship, scoring two podiums in three races. He also finished third in the IAME Super X30 Euro series and the BNL Rotax Max Championship. 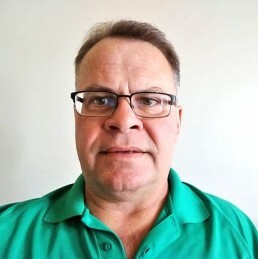 Rinus joined the Mazda Road to Indy ladder series in 2017 running the in the Cooper Tires USF2000 Powered by Mazda Championship. He claimed one pole, three wins, and 12 podiums out of 14 races in his rookie season, along with setting three new track records. Rinus finished the year second in the championship, only seven points off of the champion, and became the first driver in the history of the USF2000 series to never finish a race lower than he qualified. Born into the Argentinian racing culture, Ricardo Juncos began working as a mechanic anywhere he got the chance — often as a pastime with friends, working on their racecars. While committed to learning the car and its mechanics, his true goal was to be a driver. This commitment and dedication paid off when Ricardo began racing in the Formula Renault Series at 22 years old. Ricardo established Juncos Racing in 1997 in Argentina, but moved to Miami, Florida five years later with only $400 and a dream of creating a champion racing team. Within a week of being in the United States, Ricardo landed a job as a go-kart mechanic. His knowledge and resolve led him to reestablish Juncos Racing in 2003 as a karting team to train upcoming drivers. Team Juncos quickly gained bragging rights, winning over fifteen karting championships in five years. In 2009, Ricardo transitioned to the Mazda Road to Indy series with the determination to make his team known as a true competitor and eventual champion. Success struck one year in, with driver Conor Daly taking the Pro-Mazda Championship in 2010. Acknowledging that Indianapolis is the epitome of IndyCar racing, Ricardo ultimately made the decision to relocate there in 2012, and four years later he cut the ribbon of his own shop in Speedway, Indiana, the Indianapolis 500’s home turf. Ricardo is a humble man whose leadership style stands out among team owners. 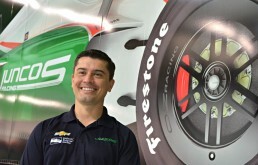 As a former driver with an education in engineering, Ricardo possesses a unique ability to help translate between drivers and team engineers, making the racing experience richer and more integrated for both groups. It is not uncommon to find him in the shop completing various tasks alongside his team. He takes a back seat at times of celebration, impressing upon his team the sense of unity and rebuffing the notion that any one member is more valuable than another. Ricardo is an esteemed Argentinian with deep-rooted ancestry in his home country, but his love for the United States is second to none. Ricardo grew up hearing stories of the U.S., but experiencing what this country has to offer has made him a true believer. 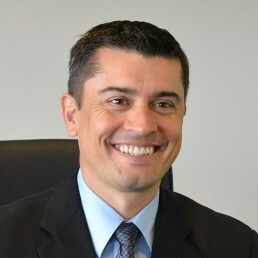 Ricardo openly recognizes the U.S. as a land of opportunity and security relative to his home country. He appreciates the melting pot of cultures and the scores of honest, loyal, and kind-hearted people who welcome his passion to develop young drivers — of any nationality. This passion is the hallmark the Juncos Racing Mazda Road To Indy program. Juncos Racing has enjoyed tremendous success over the years. Among these are the 2010 Pro Mazda Championship with driver Conor Daly, 2014 Pro Mazda Championship with driver Spencer Pigot, and taking the 2015 Indy Lights Championship with Pigot in their first season running in the new Indy Lights car. In 2017, Juncos competed in the 101st running of the Indianapolis 500 with a mere 64 days to prepare. Driver Sebastian Saavedra finished in a respectful 15th position, while Spencer Pigot finished 18th. The Juncos Team went on to win the 2017 Indy Lights Championship with driver Kyle Kaiser, and the 2017 Pro Mazda Championship with driver Victor Franzoni. All of the wins and championships are impressive, but Ricardo’s vision and team philosophy are what set Juncos Racing apart. Ricardo is a proven leader who manages to integrate his love for racing and love for family, as evident from the team roster. Ricardo’s wife, Danielle Juncos, is vice president. His father (another former Argentinian racer) Cay Juncos is the team caterer, and his brother Alejandro is the Pro Mazda crew chief. The sign above the door may say “Juncos Racing,” but you don’t need to have the Juncos name to be welcomed into the extended multicultural family within. Over the past 15 years, Kyle Kaiser has made his mark in the motorsports community competing in various levels of karting and open-wheel racing. Kyle’s racing career began at age of seven on the west coast. He earned multiple podium finishes in the IFK Regional Races Series, IKF 2-Cycle Sprint Grand Nationals, ProKart Nor-Cal Race Series, Skip Barber Western Regional Championship, and the Formula Car Challenge Presented by Goodyear. Kyle made his professional open-wheel racing debut in September 2012, joining the “Mazda Road to Indy” Star Mazda Championship at Mazda raceway Laguna Seca. The 2013 season marked Kaiser’s first full year in Pro Mazda Championship Presented by Cooper Tires, where he claimed three Top-5’s and received the “Quarter Master Hard Charger” award twice for advancing the most positions at Lucas Oil Raceway and the Streets of Toronto. 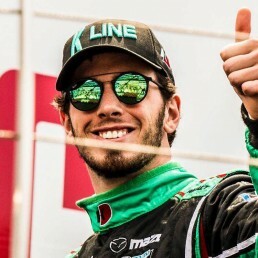 In 2014, Kyle joined Juncos Racing to enter his second season of the Pro Mazda Championship presented by Cooper Tires. That year he proved to be one of the top drivers, claiming one win and multiple podiums and propelling the team to win the Pro Mazda Championship. 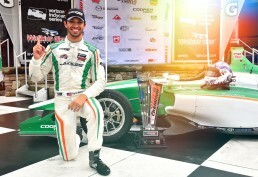 Kyle moved up to the final step of the Mazda Road to Indy ladder the following year, remaining with Juncos Racing throughout the Indy Lights Championship presented by Cooper Tires. During his rookie season, he scored two podiums, multiple Top-5’s and the “Replay XD Move of the Race” award at the Freedom 100 at the Indianapolis Motor Speedway. 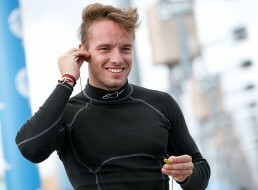 Kaiser returned to the Indy Lights series for the 2016 season with Juncos Racing where he recorded two wins (Phoenix Raceway and Mazda Raceway Laguna Seca), three poles, and multiple podiums. Kaiser would go on to finish third in one of the tightest driver championships in the Indy Lights series history. 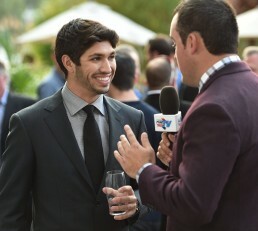 Kaiser returned with Juncos for the 2017 season, where he earned three poles, three wins, and many podiums throughout the year. 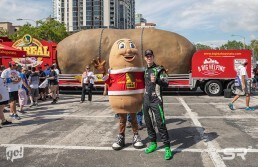 Kaiser’s hard work and dedication paid off when he clenched the 2017 Indy Lights Championship and was awarded the Mazda Scholarship, giving him the funds to run a partial season in the Verizon IndyCar Series.